Warm spices bubbling in wine....the landscape outside drenched in white..... Christmas carols somewhat faint ....maybe am imaging it or is it real? Well It does seem like an extract from a fiction, but that is what winter is all about. Do you guys think am beginning to love winter....? I don't know but it does seem romantic and does warm up my heart. Maybe as I get older wiser am learning to appreciate the beauty that surrounds me. Now going back to the warm spices bubbling in wine. Mulled wine dates back to the Romans....! It means heated and spiced. Medieval times it was called Hipocris named after the famous physician Hyppocrates. 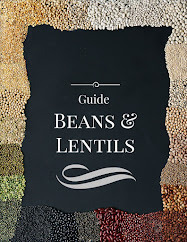 It helped people keep healthy during the cold winter months. 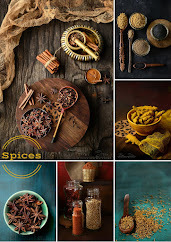 The spices certainly give a kick start to your immune system. Don't be restricted to just red wine, a lot of drinks can be mulled including non- alcoholic beverages. I did two version of mulled drink - one pomegranate grape juice and the other red wine. Most chefs recommend the highest quality of wine even for cooking ....not really !! 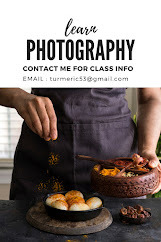 Am glad I read the post by David Labovitz ( u guys know am a big fan) and to quote him "For those folks who say that you should “always use the best wine you can afford, even for cooking”, I’m here to tell you that I can’t imagine anyone in France making vin chaud with anything but inexpensive or leftover wine. Years ago a famous French chef gave me his recipe for vin de pêche (peach leaf wine), and when I asked him which wine he recommended, he said, “Non, non…use the cheapest wine you can find.” :)) I told you, even the experts say this, so you really have no excuse to not try this....!! Go to your regular grocery store, buy the cheapest wine....!! David's recipe omits the cinnamon...as he feels it takes over the flavors. Am not sure I am ready to omit this magic bark....maybe I will use it sparingly. After all it's freedom of creativity that makes every recipe individual and distinct. So I leave it to you! 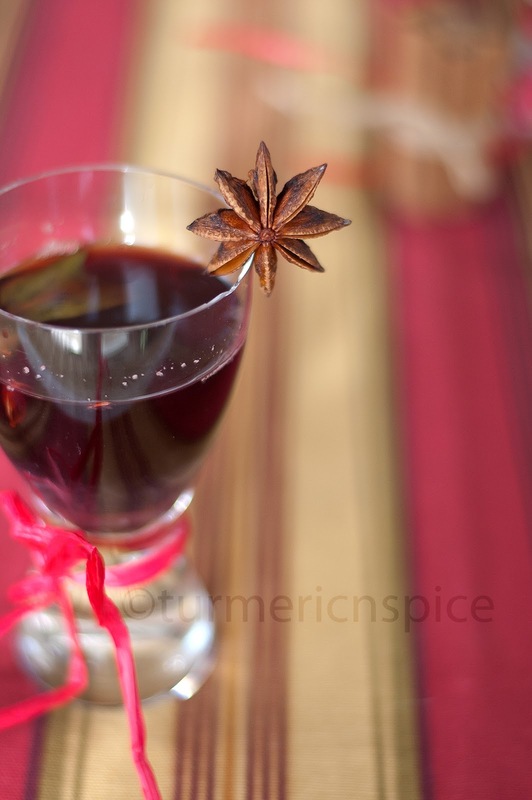 Different countries have different traditions of what they put in their mulled wine. 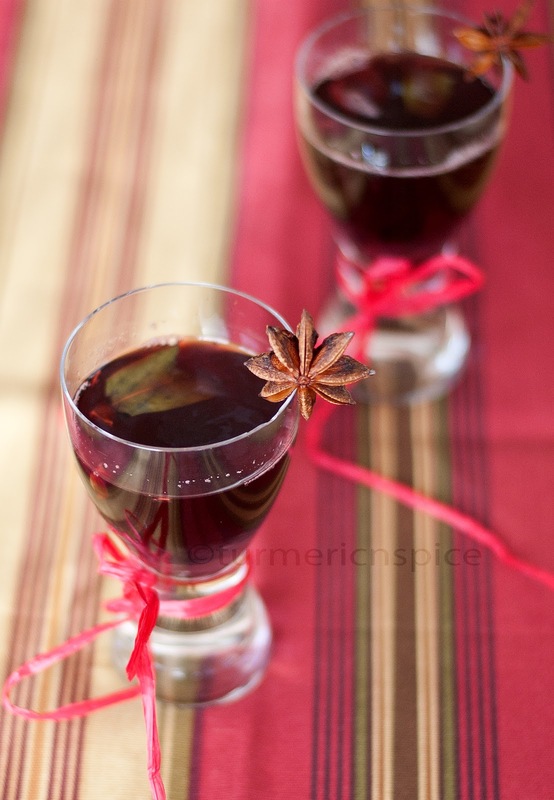 The Swedish have their Glogg, which mixes a fruity red wine with some of the hard stuff, like brandy or rum. 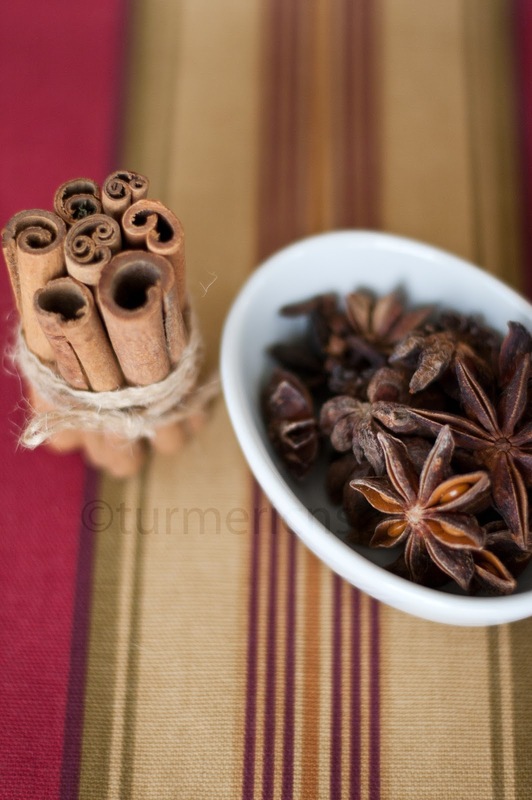 Spices : cardamom, cinnamon cloves and ginger to spice it up and then top it off with some raisins and slivered almonds. Germany's Gluhwein (pronounced Glooh-vine) traditionally calls for a dry red wine, some sugar and lemon, and spices : cloves, vanilla pods and cinnamon sticks for the spice.Russia's Glintwein is pretty much the same as the German recipe. Bulgaria's Greyano Vino recipe is red wine heated with honey and peppercorns, for a bit of the sweet and spicy. Italy's vin brule calls for red wine with honey, oranges, cinnamon, nutmeg clove and juniper berries.The French do omit the cinnamon and the English like a spice mix of nutmeg, cinnamon and bay leaf. Pour wine and spices in a non-reactive saucepan. Bring to simmer. Let it sit for 15 min so the flavors get absorbed. Reheat and serve. Rich with spices. Must be good and fragrant too. Great flavors ,perfect for a winter evening!! I have got to try this!! :) Never made it before, and think it's about time i made some history! Thanks for the inspiration Simi! lovely clicks and so much of new information.. nice! Lovely space and mind blowing flavor in wine. Seriously my H loved this wine, have to make some.